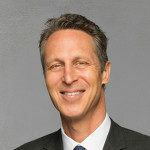 Six-Times New York Times Bestseller Mark Hyman, M.D. speaks about tackling the root causes of chronic illness through functional medicine at the #140You conference. Can Fish Oil Cause Prostate Cancer?